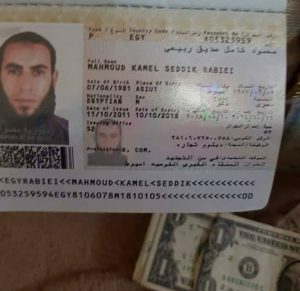 One of the terrorists killed yesterday in the fighting to the east of Ajdabiya has been identified as a 36 year-old Egyptian on whose body were found some US dollars as well as Saudi and Turkish currency and a quantity of jewellery. Sources say that he was Mahmoud Kamel who joined Ansar Al-Sharia in Benghazi in December 2013 and took the nom de guerre Abu Rabiei Al-Muhajir. There have been press reports today that Benghazi militant leader Wissam Ben Hamid is not in fact dead. Ansar Al-Sharia spokesman Naizar Jalal Atwier reportedly told his Libyan National Army captors yesterday that Ben Hamid had been killed in an airstrike at the end of December. Sources in the Benghazi Revolutionaries’ Shoura Council were quoted by the Libyan Express saying that Ben Hamid was alive and well and still fighting in Benghazi. Meanwhile the spokesman for the Bunyan Marsous operation, Brigadier Mohamed Al-Ghasri has said on television LNA chief Khalifa Hafter had colluded in the escape of IS from Benghazi. Ghasri said that he had information that clearly showed that Hafter had facilitated the withdrawal of the terrorists from the city to Bani Walid. He did not reveal any details. However, LNA forces have yet to occupy the remaining Benghazi terrorist enclaves of Ganfouda, Sabri and Suq Al-Hut where, according to the BRSC statement, Ben Hamid is still fighting and has not apparently taken advantage of any deal struck with Hafter.